This is my favorite part of the year, when I get to go back through all of my posts and analyze which ones did the best. 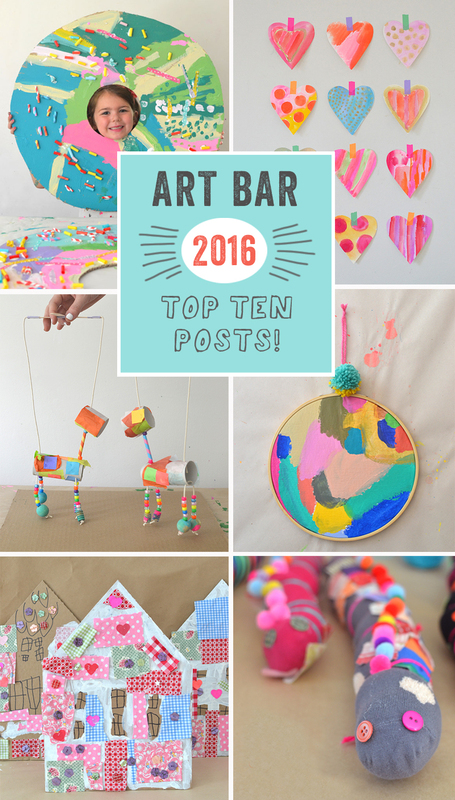 It gets me so excited and geared up for the new year, because now I know what you want more of – colorful and simple ideas with few supplies, and ideas that transcend age!! It’s so cool. I do have a confession to make, though. Even though I titled the main collage “Top Ten”, there are really sixteen!! It was too impossible for me not to include more. 1. 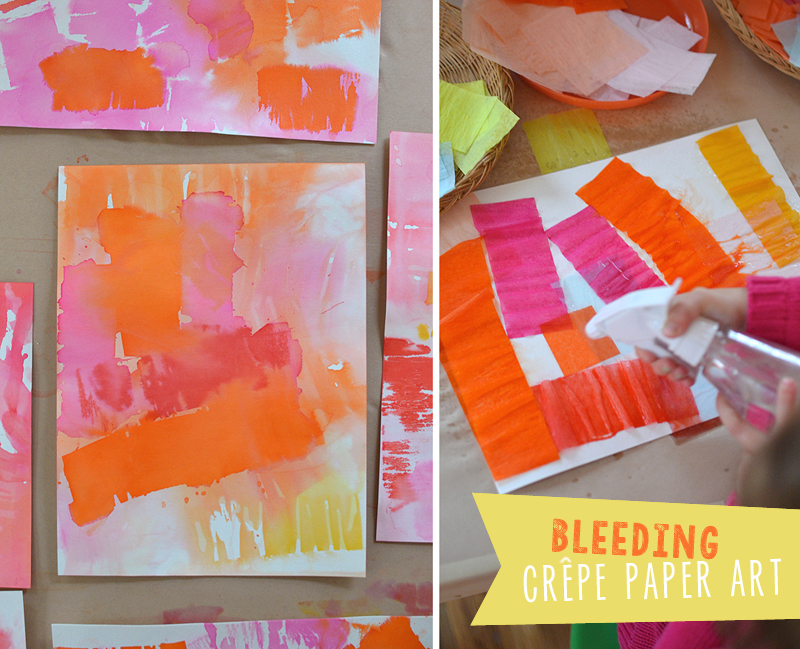 Bleeding Crepe Paper Art // Using streamers and a spray bottle of water, the kids learn that water makes the color leak out and transfer to the paper. 2. 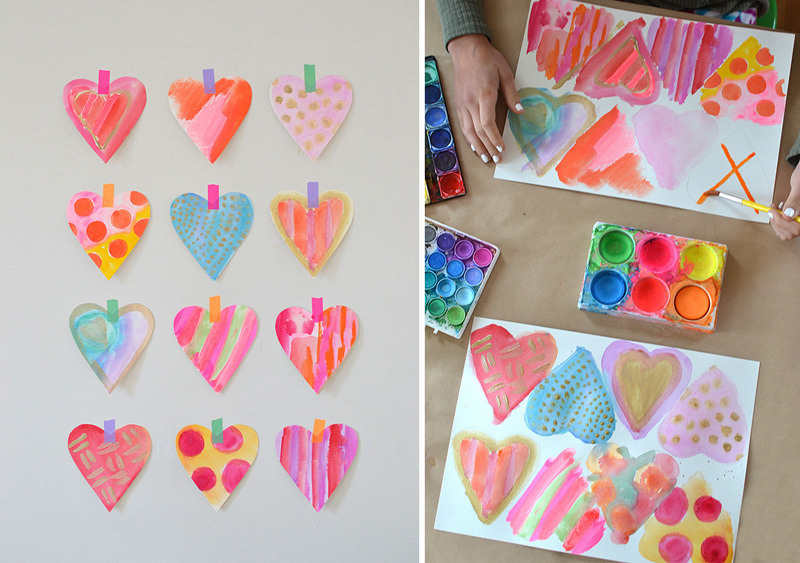 Watercolor Valentine Hearts // This simple technique makes for the most beautiful watercolor hearts. 3. 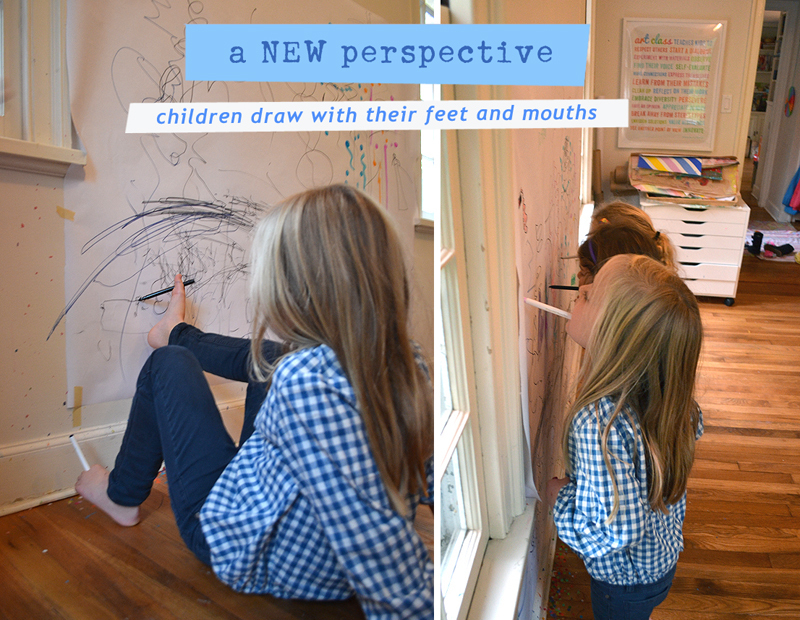 Drawing with Feet // Children use their feet to draw, opening their world to a different perspective. 4. 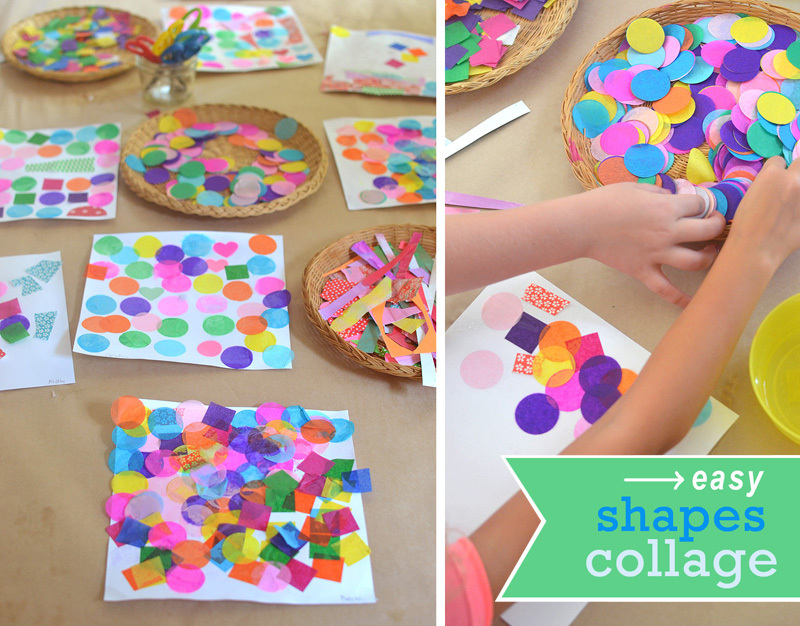 Shapes Collage // Children learn about circles and squares as they make shape collages from tissue paper. 5. 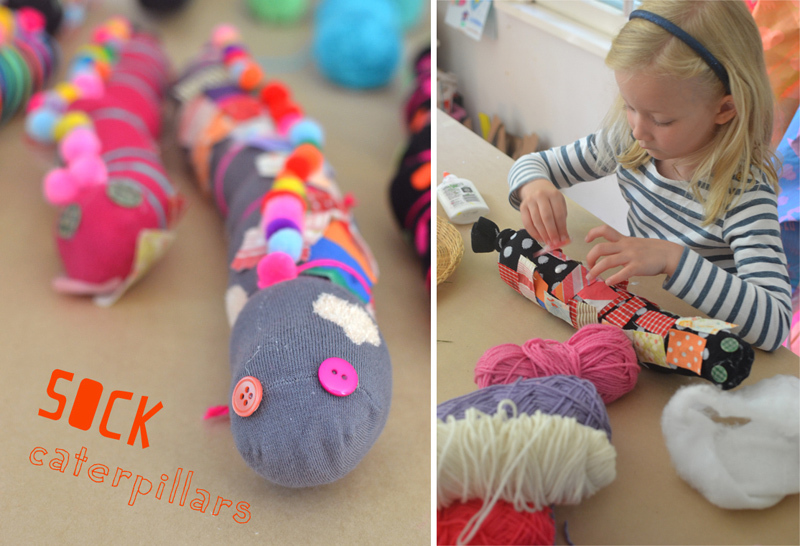 Sock Caterpillars // Use leftover mismatched socks to make the most darling caterpillars! No sewing needed. 6. 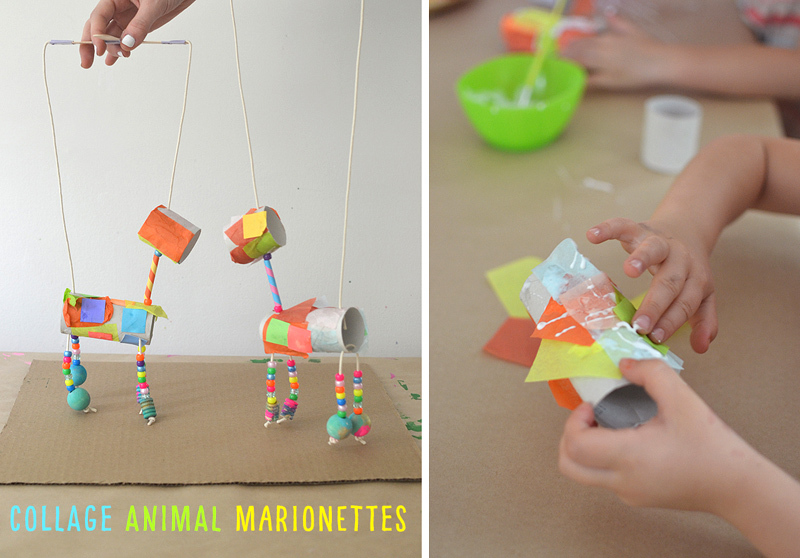 Collage Animal Marionettes // Turn TP rolls and beads into the cutest marionettes! 7. 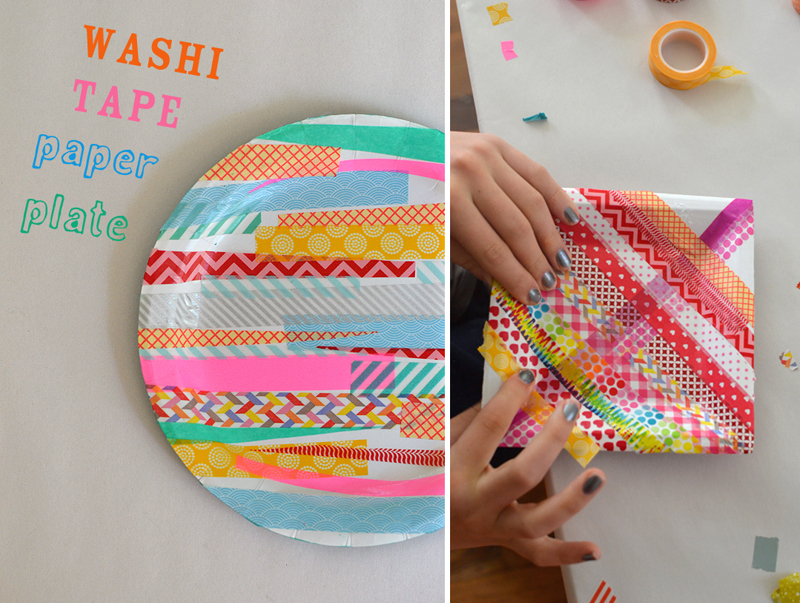 Washi Tape Plates // Decorate paper plates with washi tape and seal with mod podge to make a little tray. 8. 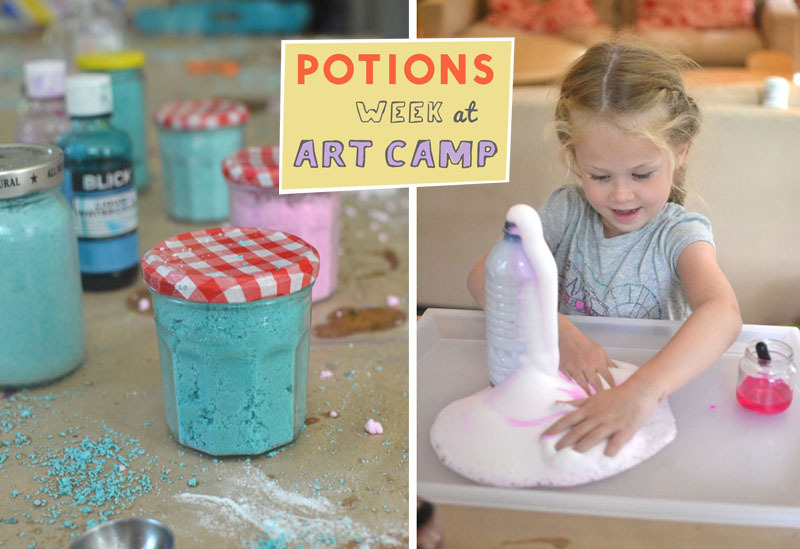 Potions Week at Art Camp // Kids spend a whole week at art camp making all sorts of potions and messy play. 9. 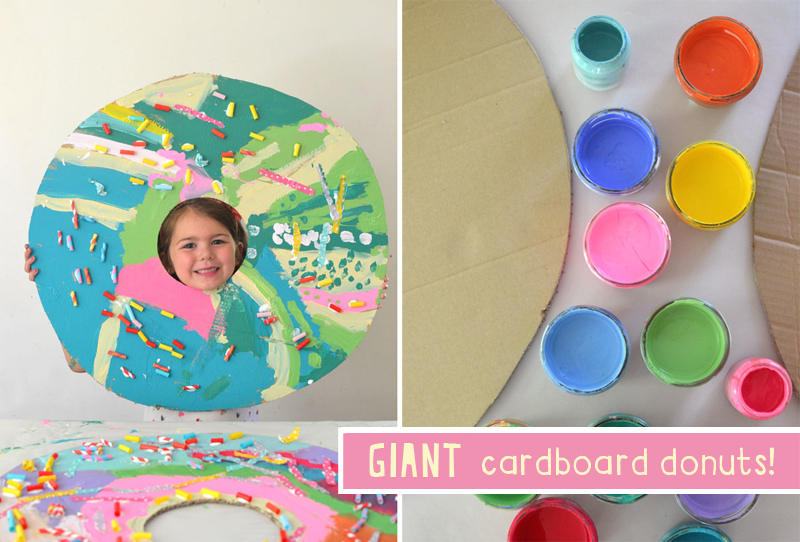 Cardboard Donuts // Cardboard and paint is all you need to make these eclectic and delicious donuts. 10. 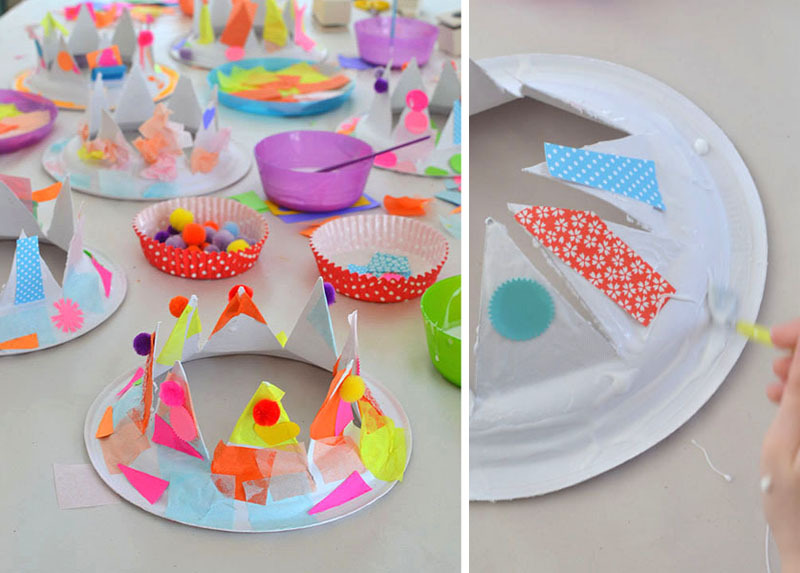 Paper Plate Party Hats // Turn a paper plate into a party hat with some inventive cutting and colorful collage. 11. 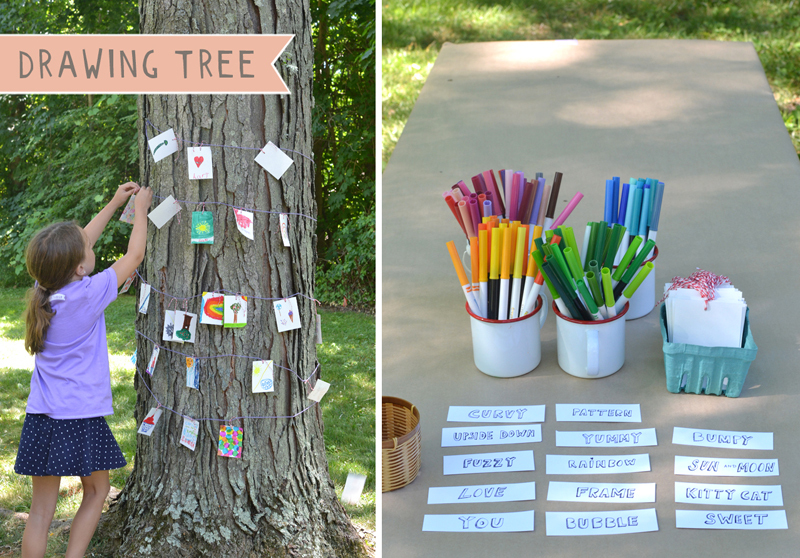 The Drawing Tree // Set up an invitation to draw with a basket of drawing prompts, some paper, markers, and a big old tree. 12. 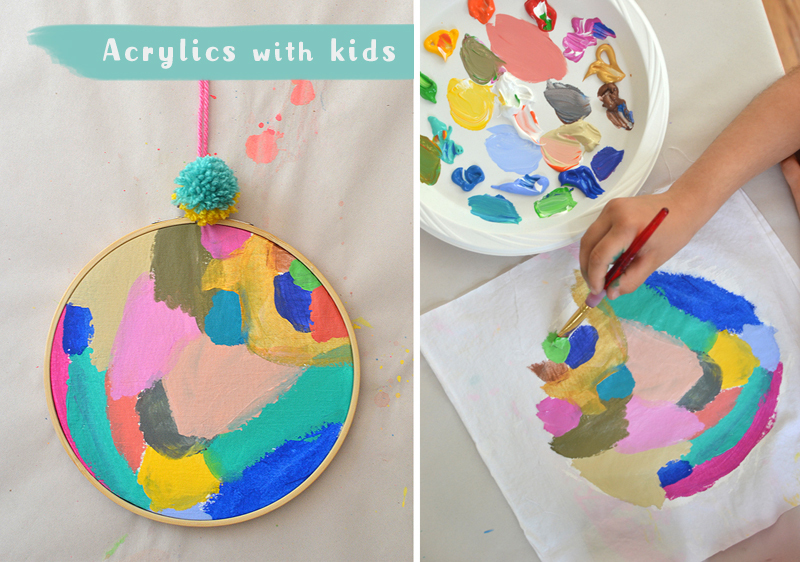 Acrylics with Kids // Children learn about acrylic paints by just digging in and experimenting on fabric. 13. 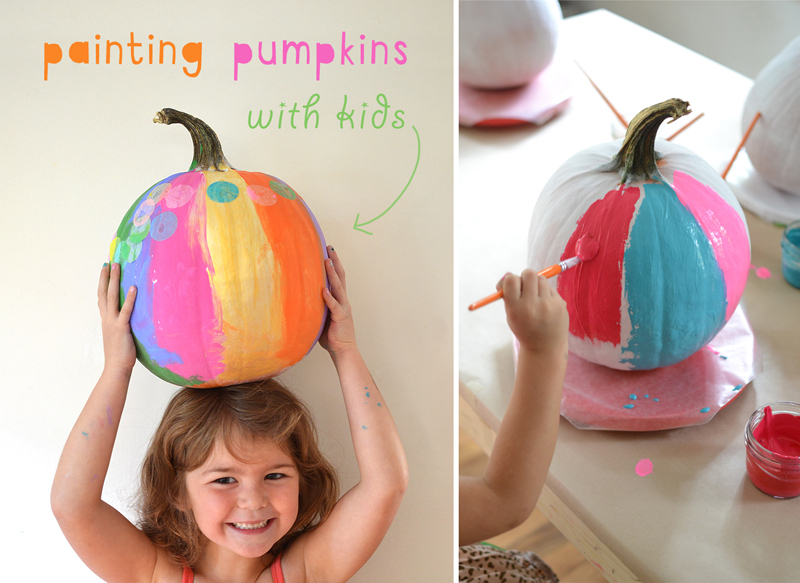 Painting Pumpkins with Kids // The kids paint vibrant and colorful pumpkins using temperas and tissue paper. 14. 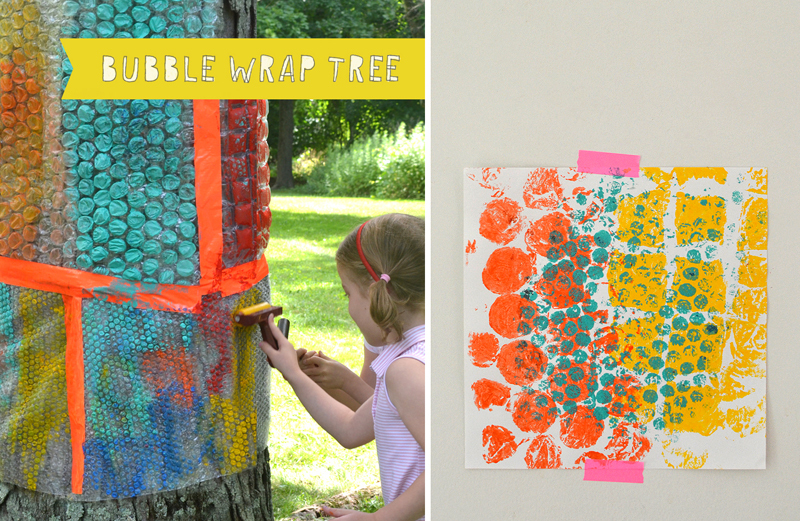 Bubble Wrap Tree // Kids use rollers and acrylic paint to make prints from the bubble wrap tree. 15. 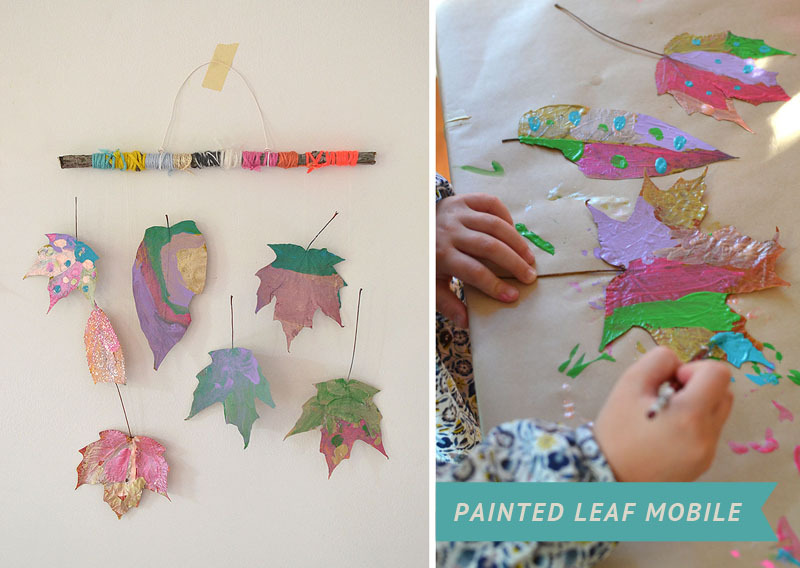 Painted Leaf Mobile // Children paint dried leaves and wrap twigs with yarn to make beautiful mobiles. 16. 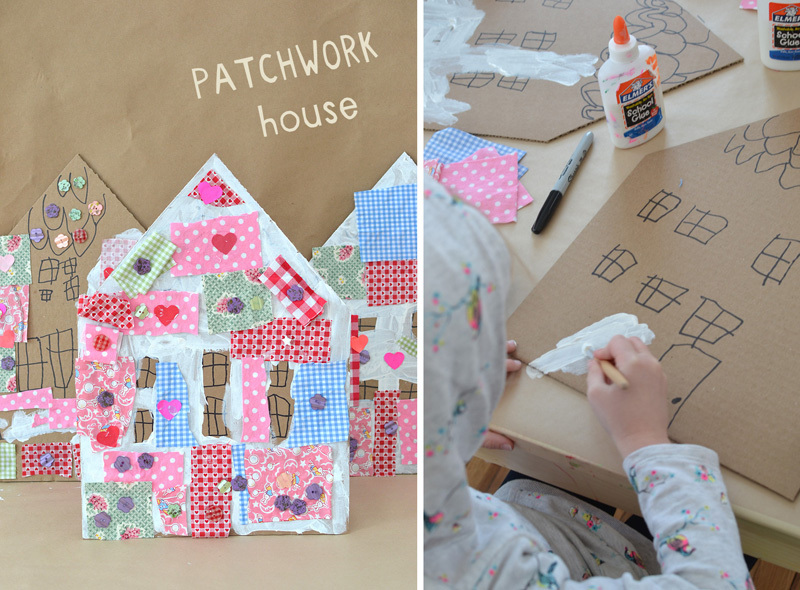 Patchwork Cardboard Houses // Kids make patchwork houses from cardboard and fabric scraps. And that’s a wrap!! Hope you enjoyed this walk down memory lane. Can’t wait to show you what’s in store for 2017! OOO what an awesome year!! Luved using your tips and ideas – a favourite of ours was the potion making during our Craft Camp in September – my first ever – and what an awesome success – all kids want is fun mess fun fun!